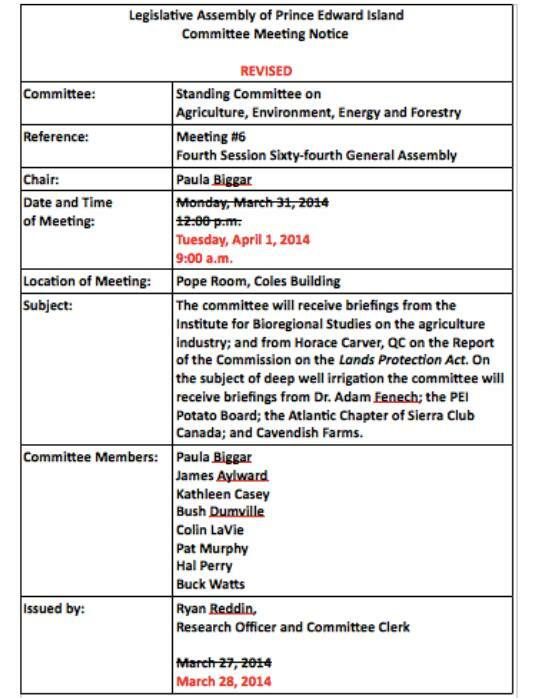 Not Monday: The Standing Committee on Agriculture, Environment, Energy and Forestry has changed the date of the last meeting before the Spring Sitting of the Legislature from Monday to Tuesday, April 1st, at 9AM, at the Pope Room of the Coles Building. It is likely to go until 1PM at least, but one presenter is not on the revised notice (Minister Webster). I only received the notice Friday afternoon and have no explanations for the change in time or change in presenters. Please check to see if you can pop in for a bit.